يحظى فندق Il Centro Apartment Hotel بمكان متميز في محور المدينة والاستمتاع بـ سياحة, شواطئ, مطاعم في هذه المنطقة الفاتنة. يقع مركز المدينة المثير على بعد 0.33 km فقط. يضفي محيط الفندق اللطيف وقربه من أكثر المعالم السياحية جذبًا سحرًا خاصًا على هذا الفندق. يقدم Il Centro Apartment Hotel خدمات لا غبار عليها وكل أشكال اللياقة وحسن الضيافة اللازمة لإسعاد ضيوفه. يمكن لضيوف الفندق الاستمتاع بالميزات التالية على أرض الفندق: واي فاي مجاني في جميع الغرف, مطبخ, تخزين الأمتعة, واي فاي في المناطق العامة, صف السيارات. تعكس غرف الفندق البالغ عددها 32 المنتشرة في 3 طوابق جواً من الدفء والألفة.خدمات عصرية مثل تلفزيون بشاشة مسطحة, إغلاق, اتصال لاسلكي بالإنترنت, اتصال لاسلكي بشبكة الإنترنت (مجاني), غرف لغير المدخنين موجودة في بعض الغرف المختارة. كما أن مجموعة الخدمات الواسعة الموجودة في الفندق لضمان راحتك تترك لك الكثير من الخيارات لقضاء وقتك أثناء فترة إقامتك. إن Il Centro Apartment Hotel هو خيار ذكي بالنسبة للمسافرين، فهو يوفر إقامة هادئة ومناسبة للاسترخاء. مكتب الإستقبال مفتوح من 08:00 صباحاً إلى 06:00 مساءً خلال أيام الأسبوع ومن 09:00 صباحاً إلى 02:00 مساءً خلال عطلة نهاية الأسبوع. الضيوف الذين سيصلون خارج هذا الوقت يطلب منهم التواصل مع العقار مباشرة قبل موعد الوصول لترتيب هذا الأمر. يرجى إخبار العقار بعدد الأطفال و عمرهم قبل موعد الوصول. 1.Very good location (7 mins walking to the biggest shopping center in the city (with a big Coles supermarket inside), 15 mins walking to the beach and ferry terminal, many restaurants around in 5-10 mins walk). 2. Full of facilities. Except kitchen, Induction Cooker, Range hood, there are also wash machine and dryer in the room. 3. Staff is friendly. Any time you requested something, they tried the best to help. However, bear in mind 1. The building is bit old including all furnitures. 2. It was said in the letter of "important points" that the front desk is available from 9:00 to 21:00. But very often the front desk kept locked before 10:00 and after 18:00. If there is urgency, you have to call the night shift admin. 3. It was the hotel rule that housekeeping every 2 days and linen change every 4 days. If you are demanding on Cleanliness, get ready to do some housekeeping by yourself. All in all, we spent 4 nights there and enjoyed the convenience. The overall comment is good. Great location, near CBD. Close to the convention centre where my conference was. Staff were excellent, very friendly and willing to assist in any possible. Room was spacious and tidy, very affordable. I cannot find any spot that I am not satisfied with. I very much enjoyed my stay at Il Central. The owner gave me many useful advice for tourism. There is a fresh market near the hotel where sells fruits and vegetables in good price. Also many restaurents in walking distance. Great location for Cairns Convention Centre, and really comfortable rooms. Really good stay at this property, its not luxury but is very comfortable and represents good value. Location is perfect for the Cairns Convention Centre (and the local courts for that matter) but for the Esplanade and Wharf/Pier there would be better locations. Room was spacious and comfortable. Management/staff really helpful and friendly. What makes this place worthy of my money is the friendly staff there, especially Warren. He was very helpful and friendly during our stay, giving us all the information we need to travel around Cairns. Also, you have all the things you need from the apartment, washing machine, drying machine, stove, you name it. If any of my friends is visiting Cairns, I’ll surely recommend this place. It's not expensive, and the room is big and located in the city center, got a kitchen and dinning table very suitable for the people who like cooking. The bed is also comfortable. The apartment was spacious, clean & tidy. The deco might be slightly dated, but was still in good condition. It was still a lovely stay. Warren was a very enthusiastic manager. He gave us help beyond imagination. In the morning when we checked out, he knew we were going to take part in the half day tour, specially arranged the room for us to take a bath and rest when we came back, so that we could have a good rest before going to the airport. When he heard that we needed eye drops, he was eager to help us inquire the drugstores and people who would speak Chinese. He was impressed by his enthusiasm, and we felt that Warren was the biggest highlight of the hotel. It was nice experince in Cairns. The location was good. everywhere is within 15~20min by walk. It was quiet as well. I was satisfied with all facilities in room. Room was clean as well. Staffs are so kind and they gave me a good impression. 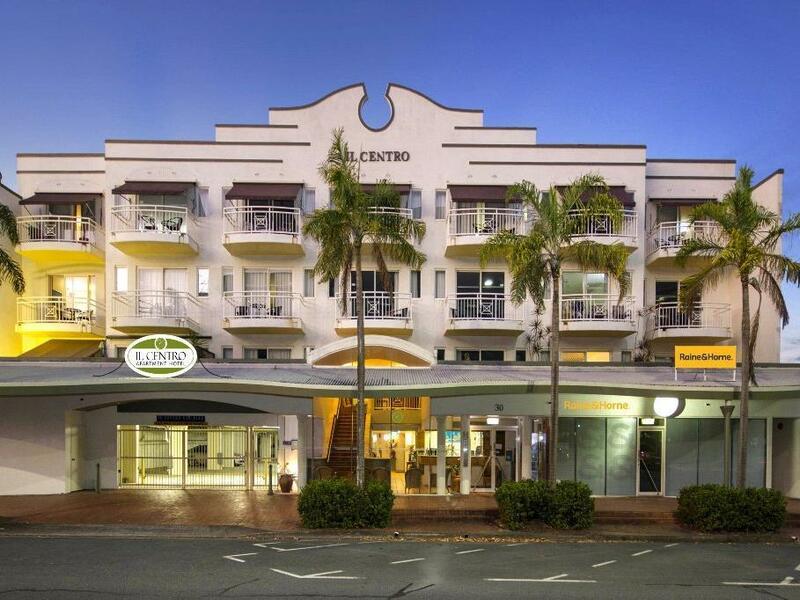 With all my experiences, I recommend Il Centro to whom anyone consider to visit Cairns, also if I have chance to visit Cairns again, I will definitely choose here again. Thank you Il Centro Apartment Hotel staff for making a pleasant stay for my group of 14 adults and 2 infants. We are impressed with the security of the property, be it the entry to the lobby or the building carpark. The staff are really friendly and welcoming! We like the hotel for its location right in the middle of the city center where we can go anywhere within a 15mins walk (eg. Cairns Central Shopping Centre, Rusty's Market, Night Market). Stay was great. Open living area and comfy bed was good. Had a pool which was relaxing. Wifi was fast and easy to set up. Staff very friendly and helpful with things to do. Nothing was too much trouble. There were issues with the booking which I'll bring up with agoda separately, but they managed to accommodate me anyway. Stayed at Il Centro for about a week with a friend. The reception staff were super nice and helpful and their tour recommendations were great. The room was generous in size and had all the facilities we wanted: a kitchen fully equiped for cooking, washing machine, dyer. Our room didn't have much of a sea or mountain view but the hotel location was within a walking distance to everything in central Cairns. The room is spacious with a balcony but a little bit dusty. As the hotel is not located very close to any pubs at the city so it is quit quiet during the night. Staff is nice and caring (voluntarily offer us beach towels when he knows that we are going out to the great barrier reef). 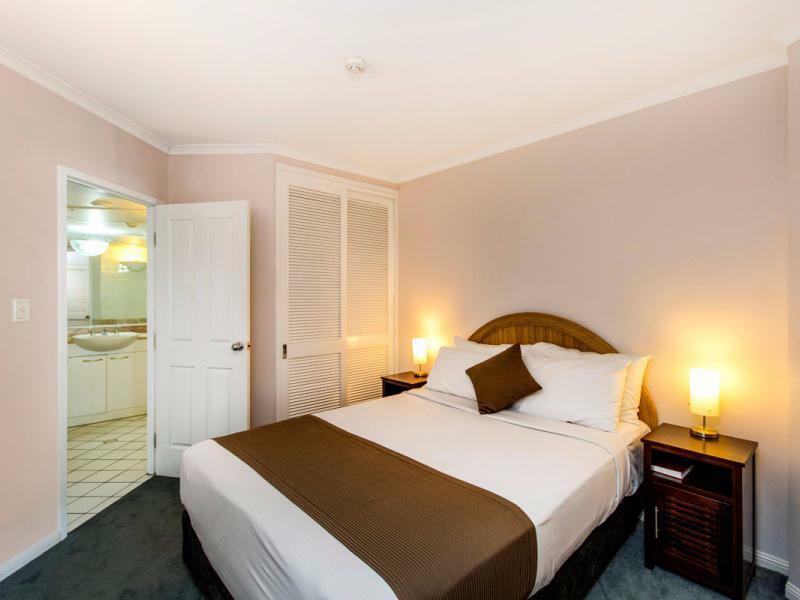 Hotel is within walking distance to the CBD (around 10 mins walk) and Cairns Central (around 5 mins walk). The only thing that the hotel may improve on is their house keeping service: rooms do not provide any signs to hang outside on the door handle and house keeping staff always try to do their job between 8am and 9am, 2 out of 5 mornings they just came in while we were still sleeping, then if they could not successfully complete their job during their first visit, you won't get any house keeping service for the day. the apartment was well set out, spacious and comfortable. service was excellent, helpful and friendly staff to assist with all needs. great location within walking distance to all needed attractions and shops in quiet street. this is the best hotel among the 5 hotels we stayed in this trip. we arrived a little late at 6.30pm while the reception has already closed (at 6pm) but luckily the receptionist actually stayed there and on call for service. he is very friendly and nice, he bought us up to the room, showed us everything and breif us all the facitiliy in the room and the hotel. we had a good view of the swimming pool, even it is small, it feels comfortable as it is quiet. location is great! it just took 5-10mins walk to down town shops and night market and 10-15mins walk to the ferry/cruise terminal. everything is just nearby and easy to find. secutiry is good as well. we have to get in using our room key and the carpark is in the ground floor of the building which also requires our key to open the gate. moreover, it is actually a police station right in front of the hotel. room is big with kitchen and bathroom, everything is clean and tidy. the bed is very comfortable. it also has air-conditioning. Apartments were in a great location in city centre. Found the staff very helpful and friendly. Rooms were lovely and clean. Parking was easy and secure. Kitchenette was not really geared for lots of cooking could only microwave, boil or fry and no dishwasher. Had to open balcony door if your were cooking to avoid smoke alarms going off. Pool and bbq area a bit disappointing. Overall a pleasant experience. would have loved to stay longer, but a conference had booked out the apartments, very comfortable and modern, lovely bed, pillows were beautiful,felt like you were sleeping on clouds, towels were really soft and huge, never seen towels as big before.